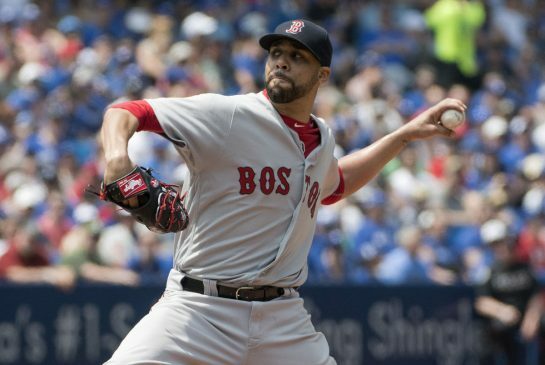 The Red Sox bounced back from three consecutive losses with a 5-3 extra innings victory on Sunday afternoon in Toronto. David Price was solid. His one mistake came when he left a fastball up to Jose Bautista in the fifth inning and Joey Bats took it deep to put the Blue Jays up 2-0. For the Jays, R.A. Dickey was lights out until the sixth inning, when he completely fell apart. Dickey gave up three runs and the lead in the sixth after allowing an RBI single to Dustin Pedroia and walking in two more runs. The Sox’ bullpen gave up yet another lead in the eighth when Edwin Encarnacion tied the game up with a solo shot off Heath Hembree. The score remained 3-3 into extra innings. Clay Buchholz, who was recently demoted to the bullpen, made his first relief appearance since 2008 when he was called on in the 10th. He came through with a solid inning, allowing a hit but no runs. Luckily Xander Bogaerts drove in that extra run on a sacrifice ground out to make it 5-3. Koji Uehara took the mound in the bottom of the 11th and closed it out just like old times. Buchholz picked up the win and hopefully a bit of a confidence boost. Perhaps he’s found his role on this team.